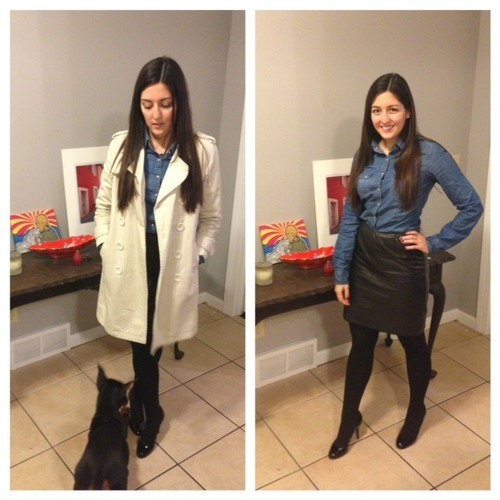 I got a little sassy with my work wear today- a denim button down + my leather pencil skirt = an awesome hump day! Looking for more photos of Petra? Check out the one that I posted to Instagram! J.Crew heels (similar), Plush tights, Gifted skirt, Forever21 denim blouse.